Offering you a complete choice of products which include fire resistant junction box, sintex smc junction box, watertight junction boxes, hensel junction box, busbar box and distribution panel box. 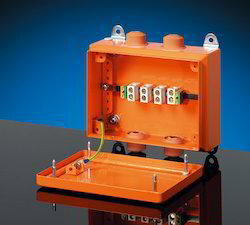 Fire Resistant Junction Box offered comes in quality construction finish and offers high resistance against fire and water. Raw materials that we source from the trusted vendors are used as input in the production procedure and thus we check them against varied quality parameters before procurement. Working in assistance with a brilliant inventory management system and capacious storehouse has enabled us to entertain urgent and massive requirements of the customers. Comes in quality construction finish. Provides for superior fire resistance. 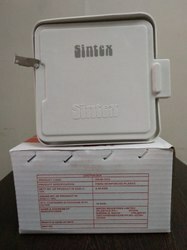 An option of DMC/BMC junction box. Made from quality material support with durable for excellent performance. Offering superior anti-erosion and anti-aging performance. Rabbit-joint structure and auxiliary air-proof parts. 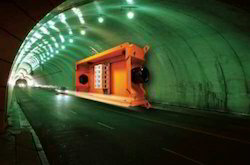 Frame designed to safeguard against rain, dust. High-quality fire resistant PC material finish. Available in white and other color options. 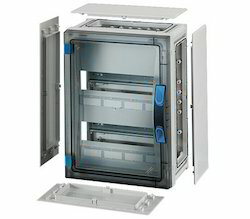 Supplied with 3 terminals in the box for cable connection. Rated Insulation Voltage Ui = 690 V a.c./d.c. 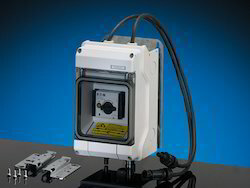 We Wel-lite electricals & electronics private limited have been counted amongst the most trusted names in this domain, engaged in providing Hensel Junction Box. 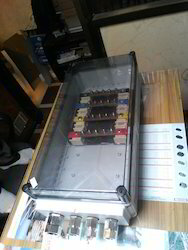 Rated Insulation Voltage Ui = 400 V a.c./d.c. Backed by a team of skilled professionals, we are able to offer our clients a wide range of Bus Bar Box. These products are manufactured using finest quality raw materials under the strict industry laid norms. The offered products are available in different specifications as per the requirements of the clients. Apart from this, we deliver these products within the promised timeframe to the clients.